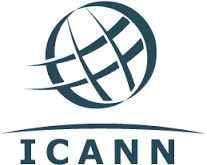 The Internet Assigned Numbers Authority (IANA), originally the manager of the DNS root zone which lists the DNS zones from .com to .cn and of the central IP-address pool, last night was transferred into a new subsidiary of the Internet Corporation for Assigned Names and Numbers (ICANN). The US government, which took on its direct involvement or “stewardship role” when it pushed for the establishment of ICANN in 1998 will remain member of the Governmental Advisory Committee (GAC) and as such can veto important decisions, as Strickling underlined in several Congress hearings preceding the much fought over transition. For many years the final privatization of the private governance body had been postponed, despite the original promises to the contrary. Christopher Wilkinson, former European Commission official and participant of process leading to ICANN’s creation remembers: “In 1998 I expected the transition would be complete by, say, 2003. The reasons for the delay are to be found in the US context.” The trigger that revived the privatization plans was finally provided by whistleblower Edward Snowden. After Snowden’s revelations of the US’ massive surveillance system, Strickling’s NTIA and the US government in an effort to regain lost ground in international diplomatic fora announced that he was prepared to let IANA contract run. In the two years, that followed stakeholder groups at ICANN, and at the other IANA “customers” RIRs and IETF worked out a new system of contracts and oversight mechanisms to fulfil the NTIA’s basic conditions including that ICANN would stay private multi-stakeholder instead of international government led. Will ICANN change less over the next years then? Rickert optimistically promises that accountability work stream 2 and the binding reviews will help to, if not evolve, keep the body on track. After two years of organisational preparations, it was difficult to find somebody opposed to the transition by this time. The NTIA’s contract with root zone technical backend operator or “root zone maintainer” VeriSign was taken over by ICANN after negotiations with the rich .com-registry operator. Service-level agreements have also been concluded between ICANN and the other IANA customers, the regional internet registries (RIRs) and the Internet Engineering Task Force (IETF). They as well as the technical community generally were highly in favour of the final privatization step. “Yes, the IANA transition is a good thing,” agreed Werner Staub, general secretary of the Council of Registrars (CORE), which had proposed a competing model to ICANN in the late 1990s. Staub acknowledged Strickling’s persistence to see the transition through this time despite threats from some Republican politicians and the last-minute lawsuit filed by the attorneys general of Arizona, Nevada, Oklahoma and Texas. “Indeed, for Strickling, it would have been easier and safer to let things linger on,” he said. “Sometimes a civil servant has to put his or her future at risk in order to do the right thing“. At the same time, Staub points to the fact that Strickling had almost everybody on board. Contrary to Becky Burr (NTIA International Affairs Director) in 1999, Staub said Strickling did not have a large private sector adversary lobbying against him. VeriSign (which bought former domain monopoly NSI in 2000 for $21 billion dollars) has even been signed up as part of the new setup, arguably as ballast, to make the vessel more stable,” said Staub. Is it a happy end after the historical transition silently happening last night? Milton Mueller, professor at the Georgia Institute of Technology, and an expert and often outspoken critic of the organisation said: “I am by no means thrilled with the new ICANN.” But if he had to choose between an ICANN overseen by the US administration and the post transition one, the latter was progress. The biggest fear he has is that it could become “staff represented” and calls for clear “mission limitations” and considerable scepticism towards GAC and government influence. To a big part, policy bias in ICANN resulted from trademark and copyright interests, said Mueller, that went for support from governments when they did not get what they wanted from deliberations in the ICANN bodies. “Most of the bad stuff in the contracts with registrars that gives ICANN the power to regulate for the purpose of content control got there because of well-represented US law enforcement,” remembers Mueller. He sees an ICANN with less influence from US politics therefore as positive. A long list of desiderates for the new ICANN comes from Wilkinson. He expects that regulatory issues arising from existing new TLDs and potential future TLDs and the advancement of the jurisdiction problem still have to be addressed. “It will be necessary to disassociate dispute resolution, independent review and appeals from the US legal system, without prejudice – perhaps for the foreseeable future – to ICANN’s own locations, incorporation and jurisdiction,” he said. Also unintended consequences from the power shift have to be watched and ICANN has to live up to its responsibility to maintain the conditions of competition in the DNS markets. ICANN, according to Staub, should use its new freedom to preserve trustworthy internet identifiers and for that also “build up power to keep the DLGs on the right path, for their own sake and for the sake of humanity as a whole.“ So, transition done, ICANN, face some larger requests now. "Last Formal Tie To Historic US Internet Control Is Cut" by Intellectual Property Watch is licensed under a Creative Commons Attribution-NonCommercial-ShareAlike 4.0 International License.